… get out of the kitchen! Fans of the world-famous Gordon Ramsay will be thrilled to learn that the celebrity chef has opened the Middle East’s first Hell’s Kitchen restaurant at Caesar’s Palace Bluewaters Dubai. 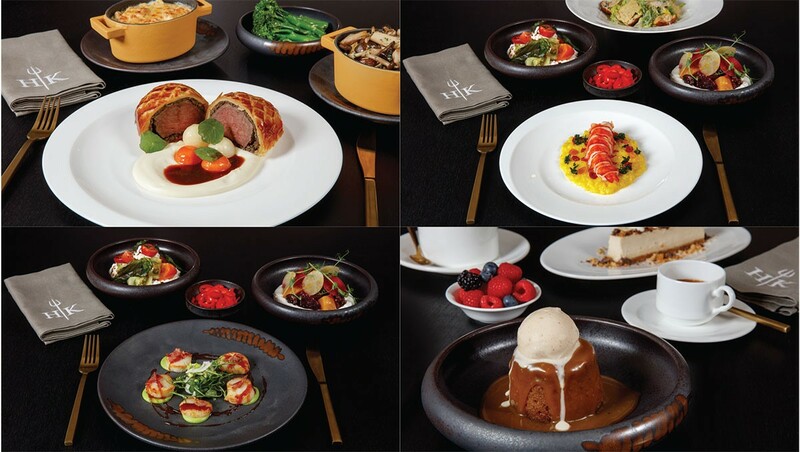 GORDON RAMSAY’S HELL’S KITCHEN RESTAURANT makes its fiery debut in Dubai, marking the second global outpost and firstof- its-kind in the Middle East. Located at the brand new Caesars Palace Bluewaters Dubai, the destination dining experience is inspired by the international hit television show, and serves the same world-class cooking that made its Las Vegas counterpart a runaway success when it launched in January 2018. Created by the multi-Michelin starred chef, TV star and allround global celebrity Gordon Ramsay, the experiential and immersive destination restaurant is a must-see city attraction for tourists and GCC residents alike. Masterfully designed to create maximum drama, guests are transported to the studio set via interior flourishes such as the signature fiery pitchfork direct from the set and Hell’s Kitchen iconic “H” to pitchfork symbols cleverly featured in custom-designed, laser cut screen partitions and gold monogram wallpaper. Every detail, from the perfect plating to make each dish look just the same as on the television to stamped cutlery sourced direct from Las Vegas, make guests feel as if they are part of the hit series. With design features engaging all senses and a nod to both the red and blue teams featured on the show, the dynamic and bustling kitchen is the centerpiece of this unique eatery to be enjoyed and appreciated from every seat in the house. Chefs and cooks are kitted out in the exact Hell’s Kitchen show uniforms – red and blue jackets with coordinating bandanas – but with a key difference. While in the series outfits denoted male or female teams, at Hell’s Kitchen Dubai the jacket colours showcase which team member prepares what; team blue, is on cold starters and desserts, while the reds prepare the hot starters and main dishes. In charge of the dynamic kitchen team, Head Chef Craig Best leads under the guidance of Christina Wilson, winner of Hell’s Kitchen Season 10 and Executive Chef of Gordon Ramsay Restaurant Group. GO: VISIT WWW.CAESARS.COM/DUBAI/RESTAURANTS/GORDON-RAMSAY-HELLS-KITCHEN FOR RESERVATIONS AND MORE INFORMATION.